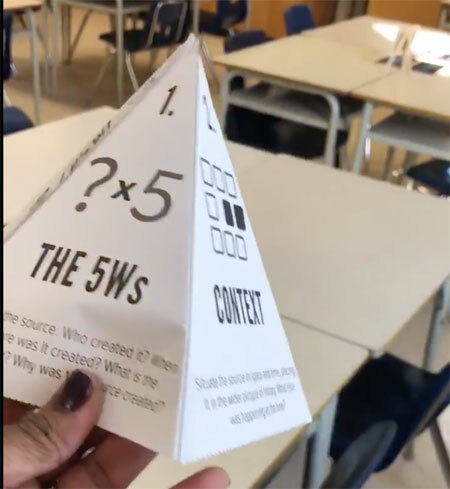 The 3D Pyramid created by Historica Canada helps students analyze primary sources in 5 steps. Find out more about the five steps by visiting the 3D Pyramid tool page. Download the 3D Pyramid to use in your classroom. Thanks @ChristinaGanev for surfacing this great tool!